You may be surprised at my choice for 2016 Book Of The Year, especially since I read and talk a lot about the Science Fiction and Fantasy genre but I made my decision based on the impact these books have had on my life in 2016. 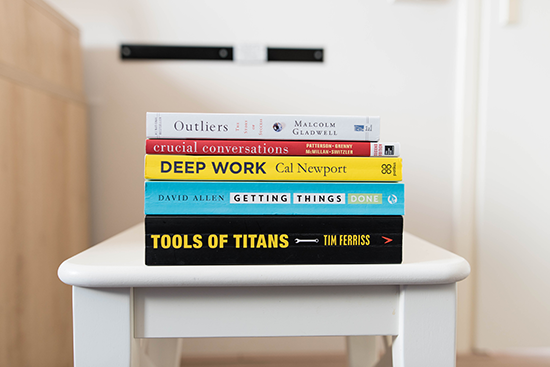 These are books which captured my mind and had me constantly thinking about them, and how to incorporate what I'd learnt into my everyday life. Why is it your book of the year? This is only the second audio book I've listened to that made me want to purchase a physical copy of the book so that I could have an accessible written copy at hand to re-read, mark up and refer to. It provided great advice and exercises that helped me when it came to personal interactions. Even after listening to it months ago, the concepts are still bouncing around in my mind and helping me provide better service to my customers and at the same time provide value for money for my employers. 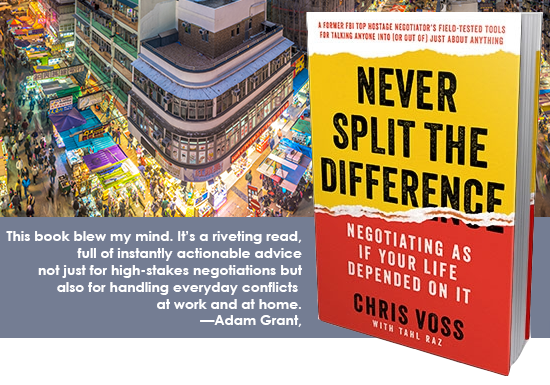 As a Former FBI Hostage Negotiator Chris Voss has experience in negotiating life and death situations. In the book he mentions that these are techniques that he (along with other FBI and police negotiators) has worked out over time in the field, in real life, as opposed to some ivory tower techniques behavioural researchers have hashed out in boardrooms and homogenised environments. These techniques can be used in all aspects of life not only in hostage negotiations but in everyday life and the best part is that we can use them to get Win-Win outcomes. Voss liberally peppers the book with real stories from his past both the successful and unsuccessful in order to make his point, which makes for a much more interesting read. Voss comes across as genuine and I was left with a lot of practical information that we can use to, dare I say, win friends and influence people. I purchased the audio book and I had to keep stopping the playback because my thoughts were constantly wandering off on tangents considering how I could use what I as learning in my work and personal life. What was the first audio book that, after listening to it, made you want to purchase the physical book? Great question, I'm glad you asked because this book is my Runner Up for Wolf's Book Of The Year 2016. This book was exciting to listen to because of the discussion on what living in a post-scarcity society may look like. It also brought to my attention the economic model known as universal basic income, which is an interesting concept that I am now keeping an eye on. There were a lot of ideas brought up which I would have liked to spend more time thinking about, which is why I wanted to get a copy of the physical book. To pour over and mark up and have at hand to refer to, however, I'm waiting for the paperback to be released. I was also excited to see how close we could be to a Star Trek-like economy, but my biggest concern is how would we make that transition? How do you convince people to give up money and the acquisition of it, and replace it with prestige points? I have so many unanswered questions about ownership and who owns what during the transition phase that I would like to have seen addressed. I don't have much, but the idea of exchanging what I have for... (kudos?) is a bit daunting. So I think that those with a lot of wealth would not be happy to eschew it in favour of a new system. Maybe we need to bring in Chris Voss to negotiate the change over? If you want to read more about Trekonomics, I have an entire article dedicated to it here. Head over to my Facebook page The BistroMath to join the conversation. While you're there 'like' the page so you are notified when new posts are up. You can also follow me on Twitter or Google+. To do so click on the images above.